Charese Horn, Owner, and Angie Diaz, Instructor, YAY Fitness, talk about what their name means and what sets them apart from other fitness studios in the area, and gives us a demonstration on the importance of proper form. For more information, please visit Facebook.com/YouAgainstYouFit or by calling 517-214-8439. WSYM —Charese Horn, Owner, and Angie Diaz, Instructor, YAY FIT talk about what their name means and what sets them apart from other fitness studios in the area and gives us a demonstration on the importance of proper form. 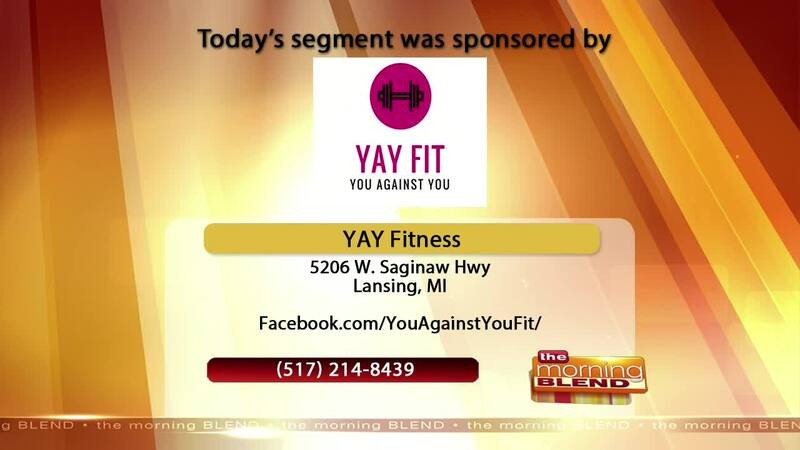 For more information, please visit Facebook.com/YouAgainstYouFit or by calling 517-214-8439.